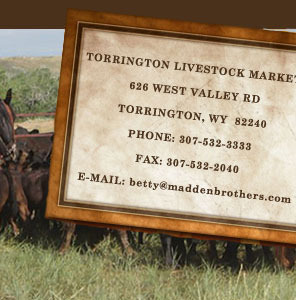 Madden Brothers companies, including Torrington Livestock, are striving to offer our customers information in the most effective and efficient way possible. If you would provide us with the following information, we will add you ONLY to the mailing/emailing lists that you choose. The information the you provide is for exclusive use by the Madden Brothers companies and will not be released to any other entity.